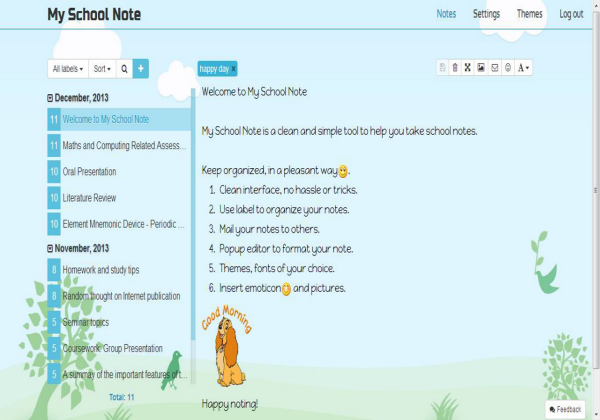 A clean and simple tool to help you take school notes. 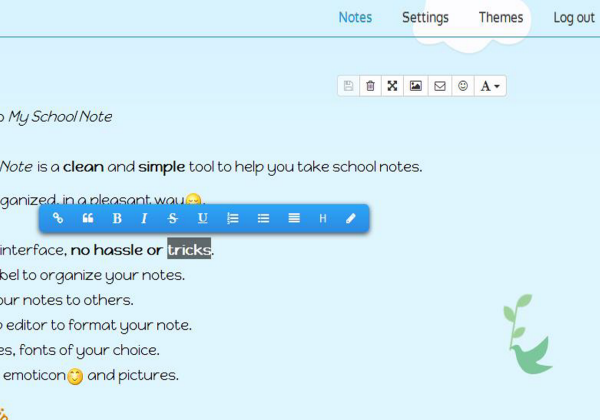 Use label to organize your notes. 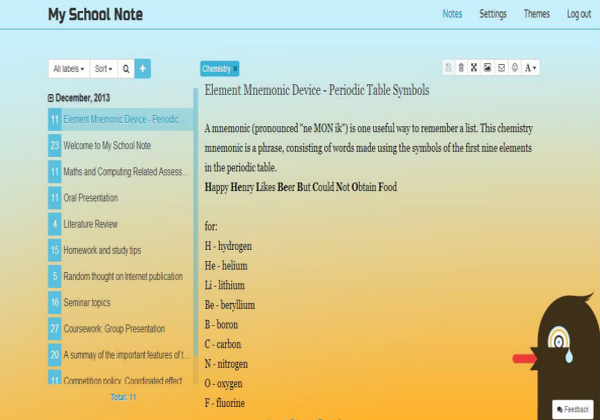 Popup editor to format your note. 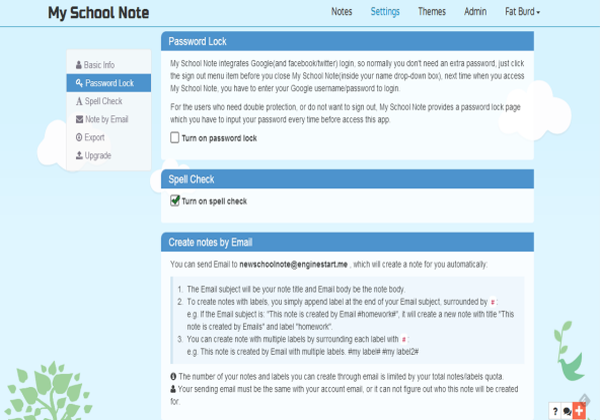 Themes, fonts of your choice. Mail your notes to other people.